Hello readers! Finally Skyscraper is out! Skyscraper was delayed for 2 times. First plan release was last January 21, 2012 (Ranzi's Birthday) as a gift. And the second one was last Valentine's Day, February 14, 2012, which is supposed to be a Valentine Special of Étoiles to everyone. But then, there were so many circumstances in real life. Been busy, was sick and more but then, finally it's released and now I'm free. 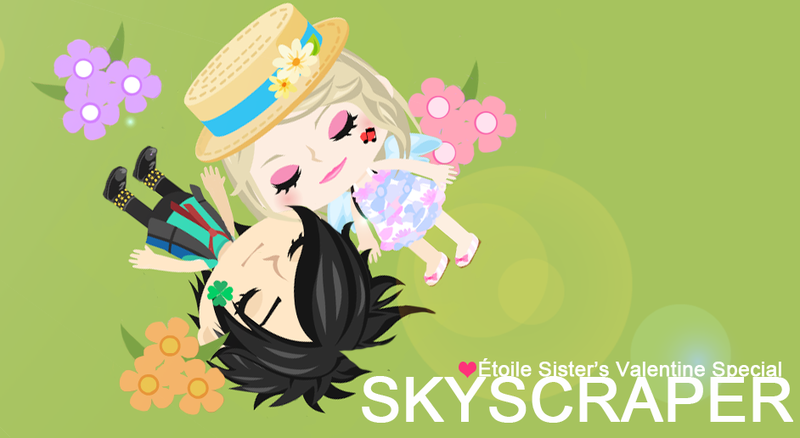 Hello to all Etoile's family and also the readers. I really wanna know how did you make this video. I know it imposibble for you to tell me. But, I am really hoping about it. I also wanna join your family. I really love Etoile and the best video is Skyscraper. I always watch it. And I will support you guys forever! !